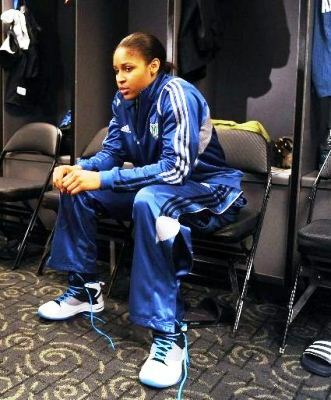 The 2011 WNBA first-overall pick Maya Moore of the Minnesota Lynx caught the attention of the Jordan shoe-lovers when she wore a Jordan Fly Wade in her professional debut. Moore, who became the first female basketball player endorser of Jordan Brand, sported the new Jordan Fly Wade in their two games against the Los Angeles Sparks and recently, against the Tulsa Shock. The former University of Connecticut standout will have his own signature shoe soon, which is already gaining a lot of attention and is one of the most-anticipated shoe models that will be released by the Jordan Brand this season. With Jordan Brand backing him up, Moore is expected to hit strides in the WNBA and his signature shoe will also help JB boost up its sales in the years to come.